This paper describes a new method of extraction and clustering of edges in images. The proposed method results a graph of detected edges instead of a binary mask of the edge pixels. The developed algorithm contains a sequential pixel-level scan, and a much smaller second and third pass on the results to determine the connectivities. It is therefore significantly faster than Canny edge detector, performing both edge detection and grouping tasks. 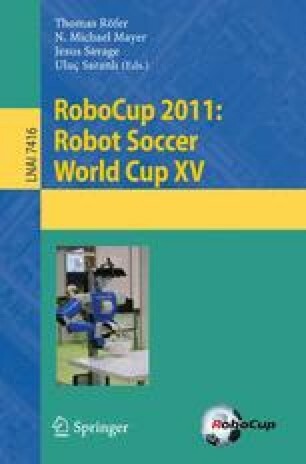 The method is developed for a RoboCup scenario, however it can also be applied to any other image as long as the prerequisites are met. The paper explains the idea, discusses the prerequisites and finally presents the implementation results and issues.